The social media platform is home to accounts like @prisonwifelife and @wedotimetoo, creating a community for women who have incarcerated partners. "I don't always wake up at 5 AM on a Saturday," reads the blocky white macro text embossed above the head of the Dos Equis pitchman. 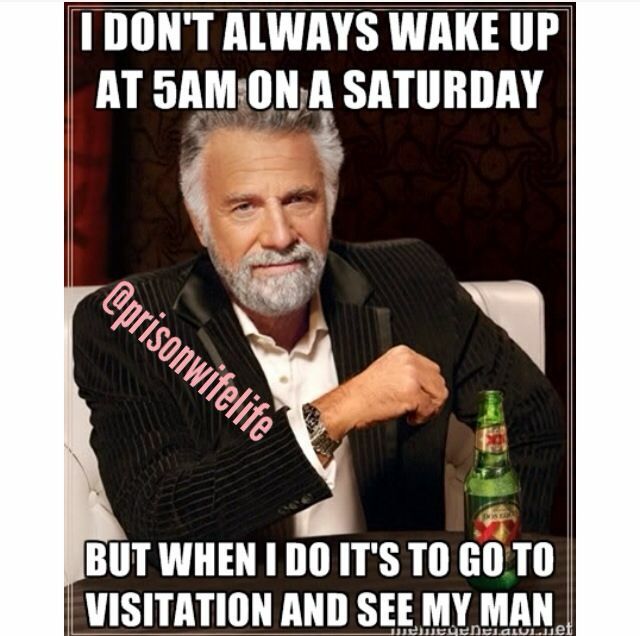 "But when I do, it's to go to visitation and see my man." The image is one of dozens posted proudly on the @prisonwifelife Instagram account, whose tone can sometimes be serious and hearty ("when he's right I'll stand by him, when he's wrong I am still by his side" in tropical letters assiduously placed over the faint outline of prison bars), but more often evokes a surprising sense of levity. "That face you make when he cops a feel at visitation," over a demuring Mr. Bean, for instance. Or the words, "When babe pisses me off, but I still go to visit the next day," on a shading Kourtney Kardashian. 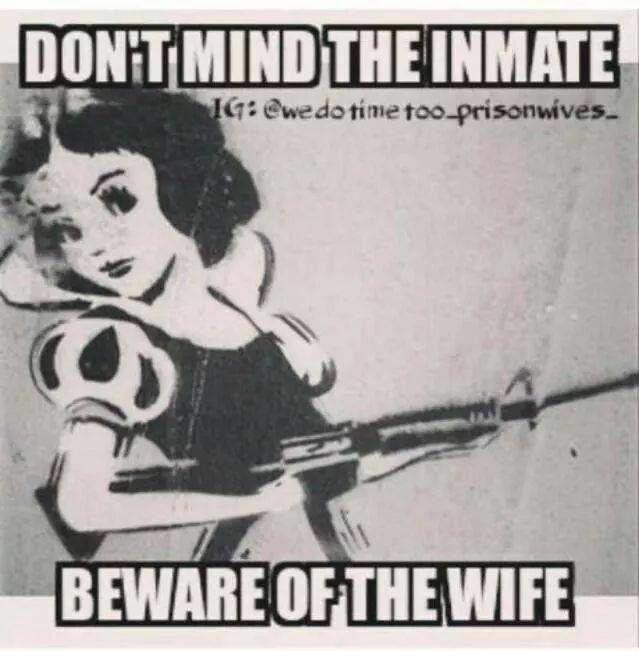 Or "Don't mind the inmate, beware of the wife," guarded by an M16-brandishing Snow White. This is the world of prison-wife Instagram—a community of women bound together by the thorny decision to commit to their incarcerated partners, who make each other laugh along the way. Danielle Marcias operates "Just A Wife Doing Time W/ Him" (@wedotimetoo), one of the most popular Instagram accounts in the community with 4,115 followers and nearly 2,000 posts. She started the page, she says, because life of a prison wife between visitations can become monotonous. She decided to pass the time by making her own memes in the freeware forges on the internet. Today, what started as a hobby has turned into a responsibility. A small cadre of fans are always eager to consume her next joke. Marcias's humor skews a little cheeky, a little naughty: "the way you got him is the way you lose him #TeamNoSideBitch" reads one of her posts blasted on a stark black background. She also understands the sensitivity of her content, and keeps her account set to private, ensuring those on the receiving end are either fellow prison wives or people with the best intentions. "Most of them are just curious, but then I get a stupid comment and all of my followers start ripping them a new one," she laughs. Memes are born out of despair. 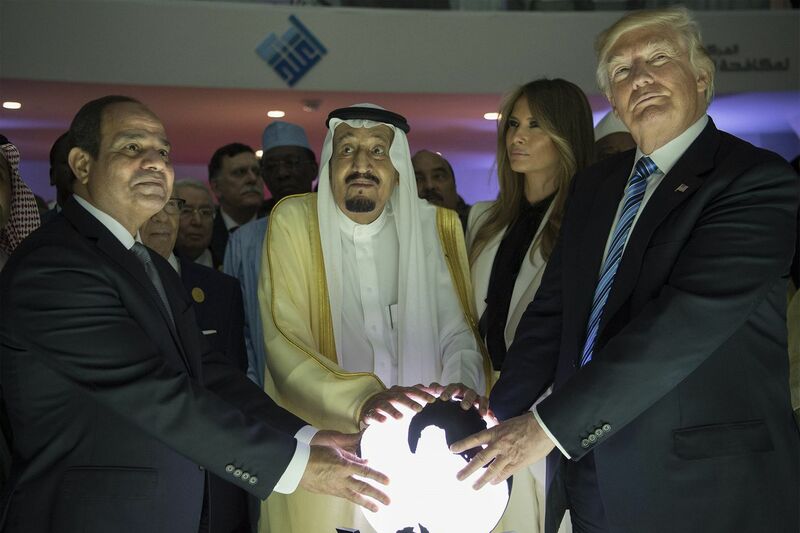 The absurdity of Donald Trump grasping a conspicuous orb or a tired rat hauling a slice of pizza down a Subway stairwell allows us to relate to one another. The frustrations of prison wives are obviously restricted to a highly specific community, but it makes sense they've found empathy in their own division of internet humor. "Right now, the manner in which we [share experiences] it is social media, it's Instagram," asha bandele told VICE a couple years back. bandele is a drug law and prison reform advocate and author of the memoir The Prisoner's Wife. (She spells her name without capital letters.) "Prison seems to isolate, but the natural thing for human beings is to be connected." Groups like Marcias help let women living a shared circumstance make that kind of connection. And don't let the memes fool you: It can be profound. "I work in the medical field, and all my co-workers know where my husband is, they know how much time he has, and they're very sympathetic, very understanding. But they don't know what I'm going through," says Marcias. "After a while, your mind starts to work a little differently, and the online prison wife community definitely helps." Marcias did not build her Instagram to cope. But for others, like Cassy Wike, the memes are a crucial component to her stamina. Wike has been a prison wife for a long time—since 2007. It's taken an emotional toll on her. "I did not have a support system whatsoever because of his charges," she says. "I fell in love with the man that he is on the inside, not what his charges are. He's so much more than what the state makes him out to be. I am always lonely. I get one 15-minute call whenever he is able to call and a six-hour visit every week. From being able to see him all the time, to only being able to see him for a few hours a week is hard." Wike fell into a Facebook group called Tough Prison Wives, a place she now describes as her "second family." The cover photo is a stiletto heel made out of gnarled barbed wire, with bubbly magenta text asking, "Do you think you can handle walking in our shoes?" Today, she is an administrator for several Tough Prison Wives state chapters, serving as a personal attendant for anyone looking to commiserate with other locals. Like Marcias, she posts a lot of memes, but she also takes the time to pen miniature anthems to ceremonialize the way she's living. "I am strong, I am proud, just because my man wears stripes and yours wears a tie doesn't make you better," wrote Wike on July 11. A few months earlier, she posted a blurry image, the kind that have been saved and resized millions of times: "I love a man in uniform, it really doesn't matter to me that it's state issued." "You cannot say you understand our lifestyle if you have never been through it," says Wike. "Being a prison wife is not easy. Just like any relationship there will be ups and downs. There have been many times in the past ten years that I have questioned my relationship. But luckily we are still together. I love that man with everything in me." That's perhaps the most important part of understanding the prison wife social media subculture. These Instagram accounts and Facebook groups serve the community at large, but they're all authored by individual people on their own journeys. They distill their hopes, dreams, screams, and laughs into double-tappable memes. Marcias's husband will be out of jail in about 15 years, and she intends to post on @wedotimetoo after that happens. But will she still be a prison wife when they're both on the outside? "I might, because there are girls that I follow and their husbands come home and I like to look at their story," she says. "I like to see that hope. A lot of people feel like they know me because my page is so out there, and they want to see what happens. So maybe I'll keep it up for a year." Marcias's posts are funny, blunt, and a little bit brusque, but she's also telling a love story. With each one, she's showing the women who follow her that they can do it too.